In one of the Star Trek nitpickers guides, Phil Farrand notes that there was a planet which was on the Federation side of a border with a hostile alien species. After a cease fire and neutral zone was established, the planet was on the wrong side of the border so the colonists were ordered to move, which they did unhappily. A generation later in a subsequent Star Trek TV show, a planet with the exact same name was on the wrong side of a different border. Rather than the most likely explanation that the script writers were lazy and made a mistake, Farrand notes that its more fun to imagine the colonists re-settled a new planet and named it after the old, only to have the Federation come in and yet again forcibly relocate them, giving good justification for their dissatisfaction and anger. I believe you're slightly mis-remembering what Farrand was talking about. It wasn't the name of the planet, rather it was a visual effect / matte painting. The Colonists of Eternal Doom. Some legends are almost too sorrowfully strange to tell. The creators give us the briefest hint of one such legend in “The Maquis, Part I.” During this episode, we see an exterior shot of a colony. In the background, an aqueduct snakes up a mountain. It just so happens that this exterior shot is a reuse from the episode “Ensigns of Command” (TNG). Since nitpickers don’t deal in reality, we must conclude that these poor colonists first crashed on a planet bathed in hyperonic radiation. Many died, but they finally adapted, only to have the Enterprise come and evacuate them because their world was deeded to the Sheliak. 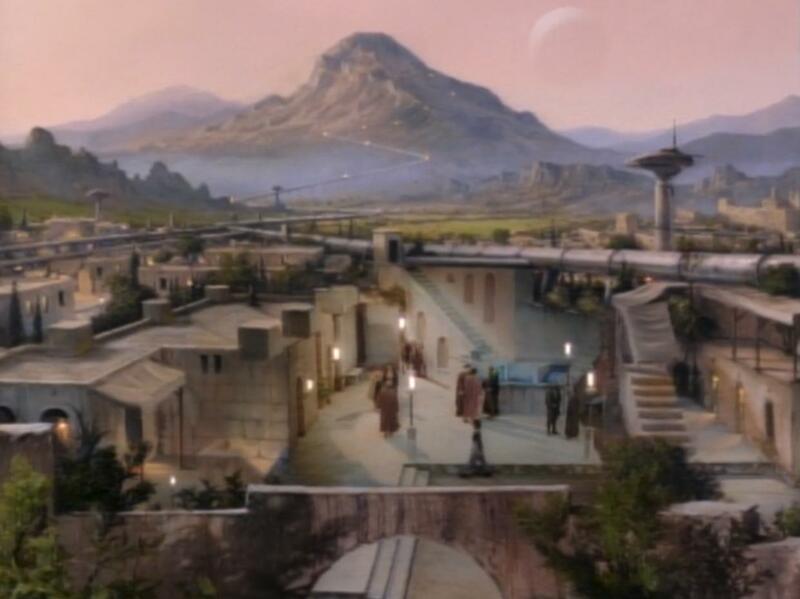 (We know this from “Ensigns of Command”) Then ...these poor people moved to another world, started all over, built an exact replica of their old colony...only to have the Federation deed their planet to the Cardassians! 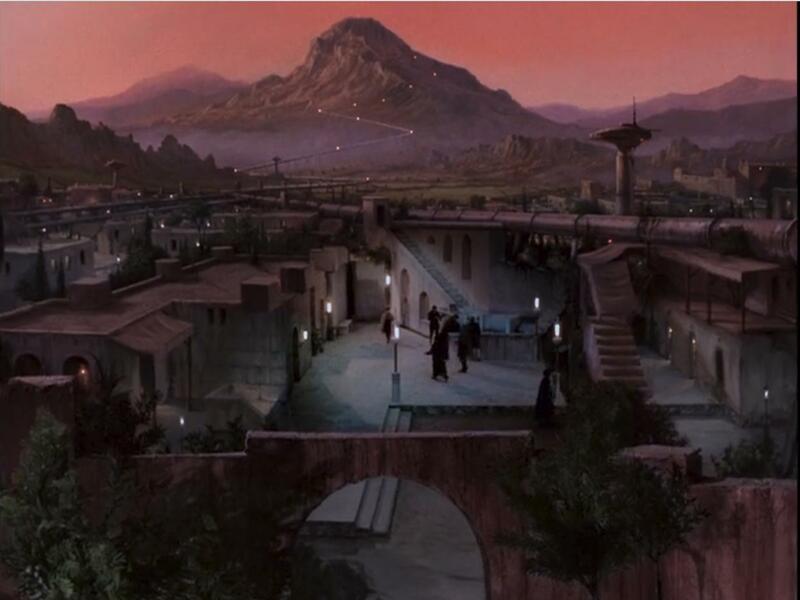 I believe this is the exterior shot in question (this is from the DS9 episode mentioned above). Other than the moon in the DS9 episode and a slight difference in color shading, they look the same. Not the answer you're looking for? Browse other questions tagged star-trek production or ask your own question. How big was the Vulcan state before they joined the Federation? What's the relationship between Blunt Talk and Star Trek?